Please join the New Philharmonia Orchestra and special guests, Newton’s Boston Ballet School and All-City Honors Chorus Treble Singers! Join us to celebrate friendship, joy and peace on earth through music, song and dance! The New Phil and their special guests, Newton’s Boston Ballet School and the 80-member Treble Singers children’s chorus, will delight the audience with this magical program – dance among the snowflakes, take a sleigh ride, and fill your heart with song! New Phil’s famous Instrument Petting Zoo follows the performance; this is a terrific opportunity for children of all ages to meet and try the orchestra instruments! This imaginative and interactive program is appropriate for family members of all ages. 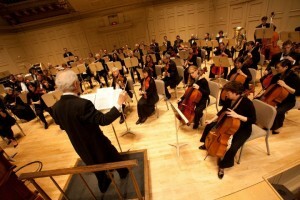 For tickets and more information, please visit www.newphil.org or call 617.527.9717.